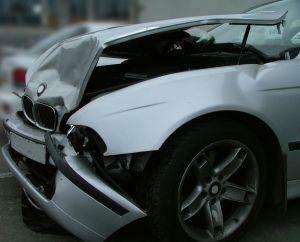 Knowing how to respond in the aftermath of an auto accident is important. In addition to knowing what you should do when a crash happens, you also want to make certain that you avoid certain mistakes which could jeopardize your ability to pursue a claim for compensation. Hiring an Atlanta car accident lawyer can be your best option following a collision so you can make sure you avoid the types of errors that could affect your ability to pursue a claim for damages. The sooner you get legal help, the sooner you will have an advocate looking out for you and fighting to protect you from facing uncompensated crash losses. Admitting responsibility for the crash: Even if you think you may have potentially been responsible for causing a crash, you do not want to admit to this immediately. Lots of factors can go into causing collisions, and by admitting fault without knowing all of the factors, you could make it impossible to get compensation you might otherwise be able to receive. Assuming your injuries aren't serious: Not all medical problems result in immediate outward symptoms. You should not just assume you weren't badly hurt if you aren't in a lot of pain. You should still get a medical exam in case there are internal injuries you aren't aware of right away that could require prompt treatment. Getting an exam also is necessary to document your injuries. Agreeing not to contact an insurer: There are times when people promise to pay for your losses if you just agree not to report the accident. This is a really bad idea, because you have no way of knowing if the other driver will do as promised or not. Furthermore, if your injuries turn out to be really serious, the other driver who promised to pay may not have the money to cover losses. Not exchanging contact info with the other driver: Sometimes, when people assume an accident was a minor one, they don't exchange contact information. If it later turns out that the property damage is more extensive than you thought or if you subsequently realized you are hurt worse than you realized, you will likely be unable to find the other driver if you did not exchange info. This can result in uncompensated losses. Waiting to call a lawyer: If you want to make an injury claim, you need to understand how the legal system works, what your rights are, and how to negotiate with an insurer or file a civil lawsuit. There are deadlines to comply with for making your claim. You want a legal advocate on your side right away so you don't do anything to jeopardize your claim. You deserve to be compensated if another driver hurt you, and you don't want to do anything that could cause you to become unable to pursue a claim for damages. Get the right advice as soon as possible to ensure you make smart choices during the entirety of the accident aftermath.